Entitled “Passione” which means “Passion”. 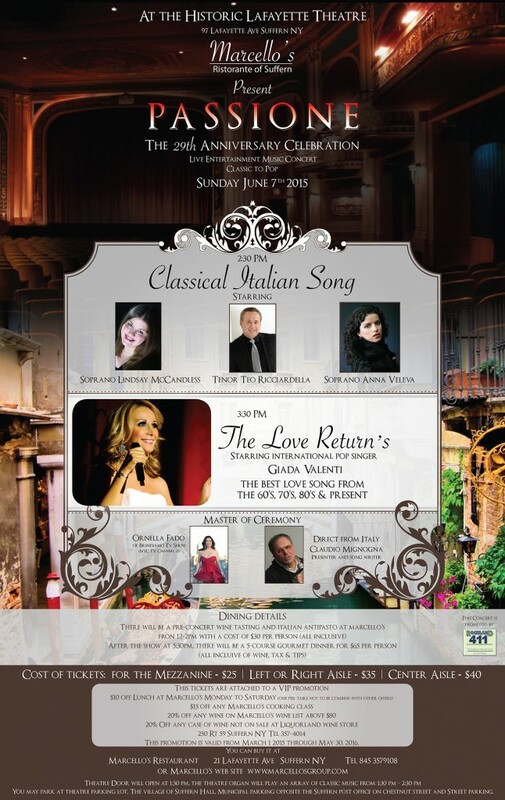 The first section will feature classical music featuring Soprano Lindsay McCandless, Tenor Teo Ricciardella, Soprano Anna Veleva and directly from Italy, presenter and songwriter, Claudio Mignogna. The second part titled, “The Love Returns” features the best love songs from the 60’s to the present starring Giada Valenti who has won over our audience’s hearts every year since she hit the stage!